Part six of six clinical service accreditation resources produced by the former Clinical Service Accreditation Alliance (CSAA). 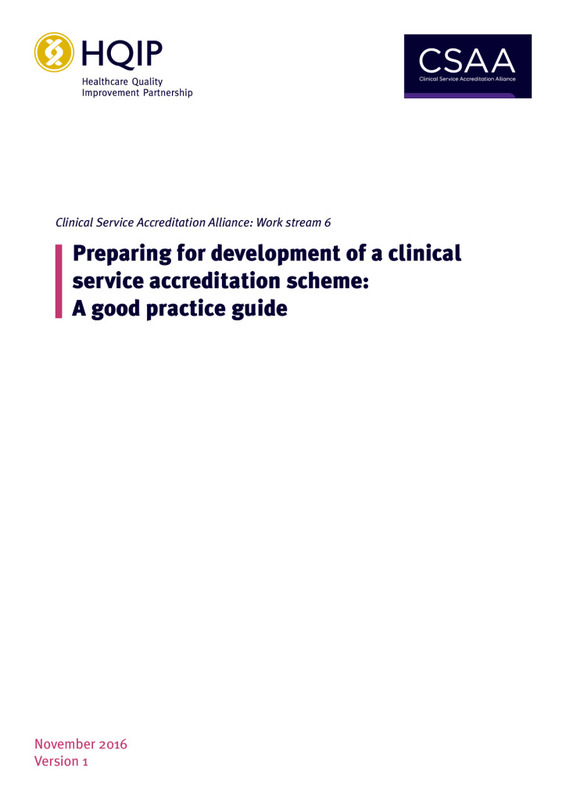 This particular guidance describes how best to prepare for and standardise an accreditation scheme for Clinical Services. It has been prepared by the CSAA with input from a wide range of organisations and individuals involved in developing and operating accreditation schemes for clinical services. It draws on other outputs of the Alliance such as standards required for accreditation schemes. Those developing accreditation schemes whether they are in an advanced stage of development or not. Wherever possible, examples have been provided to illustrate key points and to serve as a guide for scheme developers. They should be adapted to suit particular characteristics of a clinical service and take into account the views of all stakeholders.